Behind the cranky exterior there is a story and a sadness. So when one November morning a chatty young couple with two chatty young daughters move in next door and accidentally flatten Ove’s mailbox, it is the lead-in to a comical and heartwarming tale of unkempt cats, unexpected friendship, and the ancient art of backing up a UHaul. All of which will change one cranky old man and a local residents’ association to their very foundations. I have been trying to read a few more fiction books, so when I saw this on Scribd, I decided to give it a try. 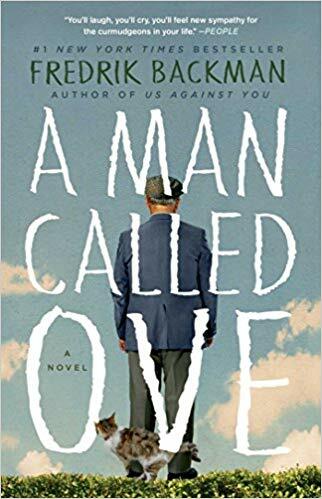 I have heard people online rave about A Man Called Ove, but I didn’t really enjoy this book. I mean I loved the characters and the descriptions of the settings, but in the end, I didn’t really think it was worth my time. It may be because it took me a while to get into, or maybe I was disappointed in the ending. I cannot say enough though that Backman did a wonderful job of creating interesting characters. I love Ove and all people around him. They all so interesting, but the story also felt a little empty to me. I felt that I was lacking a redemptive feeling at the end: a so what. It also was choppy, going back from present to past, which I tend not to like. I do understand why people like it though, so if you enjoy modern fiction than you like this. To me, I would rather read about real people who complicated lives.